As we look deep into 2018, one of the questions on every Web developer’s mind ought to be, “What trend will define the web in 2018?”. 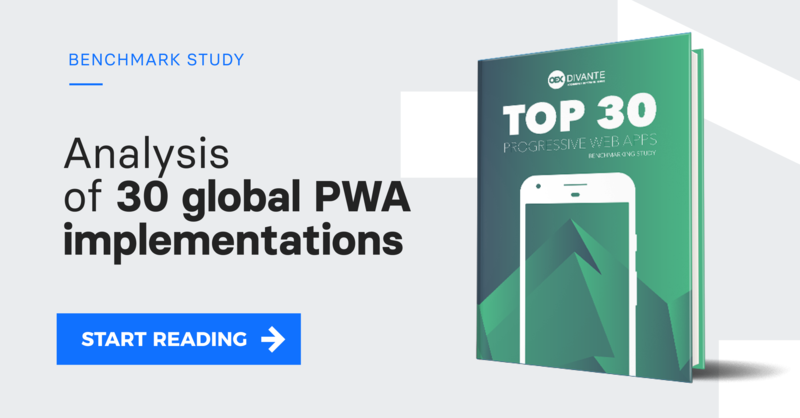 This year we focused the entire Progressive Web App study on the eCommerce segment, trying to identify where everything is heading in terms of mobile Web development, now that responsive web design has reached saturation point with 87% of digital experience-makers embracing it. Read more. Many of today’s hottest new enterprise technologies are centered around free, “open-source” technology. As a result, many big companies—from financial giants to retailers to services firms—are building their businesses around new, community-based technology that represents a sea change from the IT practices of the past. But how can corporate customers—and investors—evaluate all these new open-source offerings? Read more. Adobe Systems Inc, the maker of the image-editing software Photoshop, is in negotiations to buy Marketo Inc, a privately held cloud-based marketing software company, according to people familiar with the matter. The deal would boost Adobe’s cloud-based software offerings. Read more. Adobe Systems is king of its hill in content creation software. No one comes close to offering all that it has—Photoshop, Acrobat and Illustrator. Its net profit margin this year will be 28.7%, predicts Value Line, better than the margin at Microsoft. Its shares are up 1,000% over the past seven years. Why, then, is Adobe running scared? Read more. Have you ever wondered what the perfect cart design for an online store is? Some designers agree that the best practice is to have no distractions on the cart page, so the user can focus on proceeding with shopping. We decided to tackle this approach and design shopping cart anew and support cross-selling. Read more. The times when the Vue docs were the only learning resource are long gone. In this post, we will go through both premium and free learning resources, so there will be something for everyone. Some of these may be a bit steep for someone just starting out, but split with a friend, ask your boss to pay for it, look out for sales, and in the end, it will surely pay off. Read more.